Curt (left) and Anders Cedergren are the father/son dynamic of Cedergrens MEK. 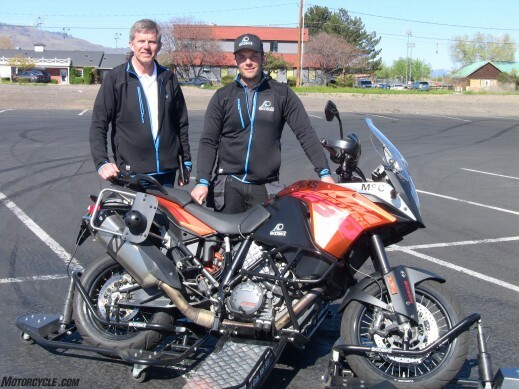 The newest addition to the company’s Skidbike program is the KTM 1190 Adventure with Bosch ABS, C-ABS and Motorcycle Stability Control systems. Skidbike allows riders to really explore the advantages of these technologies.